We all know getting your content onto Pinterest is critical to driving quality, targeted traffic to your website. 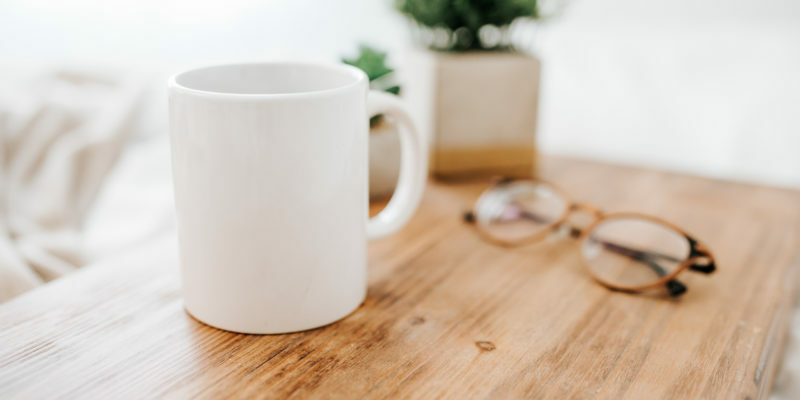 However, we don’t all have hours and hours to spend on Pinterest trying to build followers, increase our viewership, or keep our content in the newsfeeds. The answer to this, of course, is to get more people to share your content on Pinterest. Every time your image is pinned onto Pinterest, Pinterest’s image readers scan and categorize that pin and how it is saved. Every time your image is pinned onto a new board on Pinterest, Pinterest uses the board’s description to help categorize that pin. 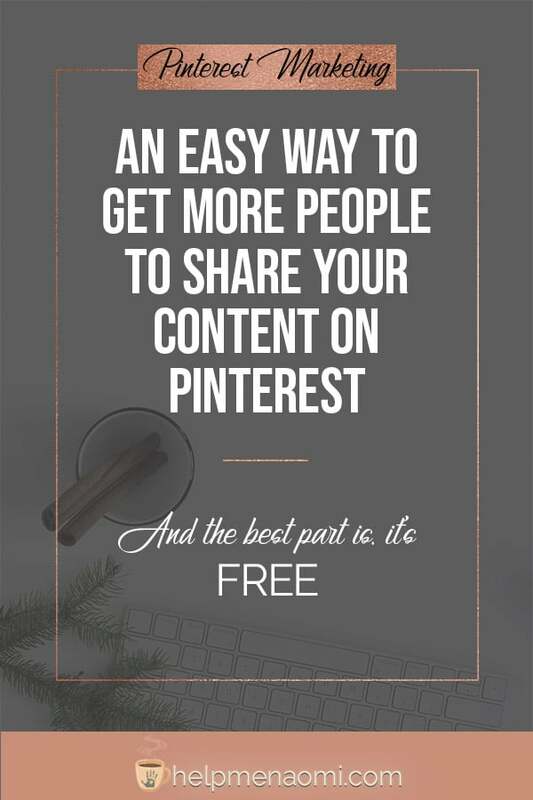 Let’s say you wrote up a blog post about how to get more people to share your content on Pinterest (you know, hypothetically). 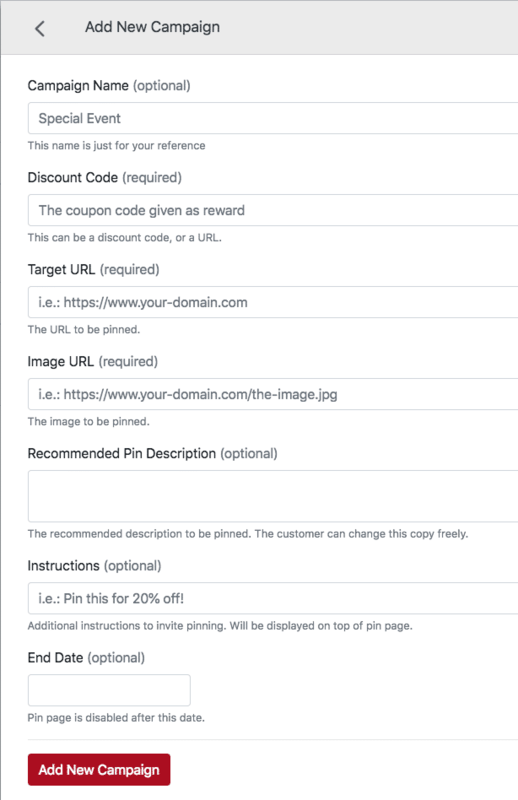 Now, if you share that pin onto Pinterest to your blog post board, Pinterest’s image readers will attribute that pin as being related to blog posts. But then if I go in and repin that image to my “Working from Home” board, Pinterest’s image readers will append “working from home” to the context of that pin. Then, two months from now, if someone else pins that same image to their “Pinterest Marketing” board, Pinterest’s image readers will spring into action again and append the “Pinterest marketing” context to that pin. Just in those three actions, Pinterest’s image readers can now attribute that pin to blog posts, working from home, and pinterest marketing. And every time it gets pinned to a new board, that context gets updated and refined. The Pinterest SmartFeed. Have you ever noticed that if you pin something to your “Hearts” board, that the next time you log into Pinterest, your smartfeed is filled with hearts? Pinterest’s image readers have a lot to do with that. They use the images you save and the categories attributed to those images (thanks to the boards you saved those images to) to show you new images you might like. Pinterest Board Ideas. After pinning images to your board, have you noticed that Pinterest will start making suggestions to you about other pins you could save to that same board right there within the board itself? Not only that, but it’s one of the few notifications I will get from Pinterest. 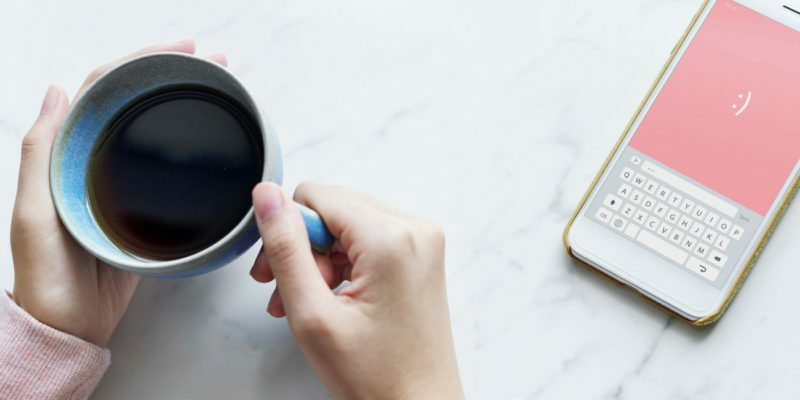 Now imagine if your ideal client received the same notification for ideas for their Pinterest board, and when they checked it was your pin on how to get more people to share your content on Pinterest that you were just writing? If you click or tap on a pin to read more about it and then scroll down, there is a collection of pins shown beneath it labeled “Related Pins.” This is almost entirely run by Pinterest’s image readers. Have you ever looked at something and found that the related images really had nothing to do with the pin itself? Maybe they were all pins from the same author, but about different topics. Or maybe they just didn’t make any sense at all. That’s all thanks to the image readers. If the Pinterest image readers have a hard time reading the image, they won’t know how to categorize the pin until more people start saving it. A pin can come up in search results even without keywords if the Pinterest image readers can correctly identify and categorize what the pin is about. So, that pin you shared with all the keywords for Pinterest Marketing? 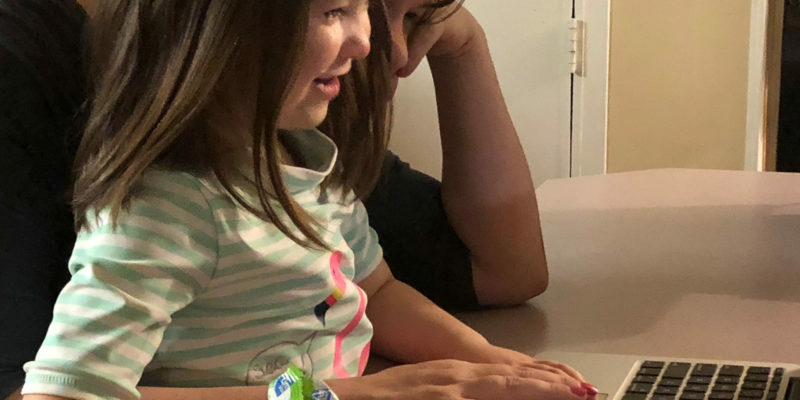 If it’s been shared to mompreneur and work at home boards, then even without those keywords it can still find itself coming up when someone searches for those things simply because it’s been saved that way before. So, obviously, it can only serve you well to get more people to share your content on Pinterest. Not only will that help you get more traffic and build up your reputation, but it will also help your readers find what they need when they need it. First, and this probably goes without saying, make sure you are writing good content. If you’re pumping out low-quality content, expect a low quantity of shares — that’s all there is to it. Second, you can always ask people to pin your content. There are plenty of groups on Facebook that will allow you to share content you want pinned. You can also join tribes on Tailwind to find people with similar audiences who will share your content. Or you can use a “Pin It” button, like the one Tasty Pins can add, right on your image that asks people to pin it right then and there while they are reading your content. These are all great ways to get more people to share your content on Pinterest. But Claire Akin over at Pinterest Wave had an idea to use a reward system to get more people to share your content on Pinterest. The idea is simple enough: you write up content that you want shared on Pinterest. Decide on an incentive or reward to offer people for sharing, then spend the rest of your life in administrative paperwork tracking and verifying shares to fulfill your promises and reward the people who share your content. Pinterest Wave is a new web-based app that allows you to create an incentive and reward people for sharing your content. And it’s super easy to use. First, sign up for an account. They are still new, so they will first ask you to sign up for their waiting list. A few minutes after I received the confirmation email that I was on the list, I received a second email inviting me to try them out for free. As you can see, it’s pretty straight forward. Once your campaign is set, you’ll be able to see a list of all your campaigns and the links to share for each of them. Click the button below to see the invitation I use for my book: Start Working from Home. Click Here to Pin my Book and Receive $5 off!! You’ll notice that it’s a two-step process to get the code for the $5 off my book. First, you have to actually pin the image. You can choose any board you like. And since it all happens right there, it won’t be very difficult for your readers to do — nice and easy. Then, it will ask you to verify the pin. Just put in your Pinterest username and click the button. Once Pinterest Wave is able to verify that you’ve pinned the image, it will give you the code you need to enter on my checkout page to get your $5 off!! Within one day of placing that button on my page, twenty people shared the page onto Pinterest and I received 15 sales. Verification and tracking is all taken care of for you, making it a really easy way to reward your readers for sharing your content without creating a lot of backend administrative work for you. I know: free, easy, and effective. Too good to be true, right? Well, yea. The truth is that Pinterest Wave is free now. When you sign up for the waiting list, it actually says that it will be offering their free trial for just a limited time, and the email invitation reads that you can be an early adopter — getting in on this free trial while it is still available. But, and here is that but, I don’t know how long this free trial will last. There’s no indication on the site or in any of the emails about how long the free trial will last or what the pricing will be once the full program is released. But, in my experience, programs like this usually end up taking care of their early adopters through special rates or discounts. So, my recommendation is sign up now. Get onto Pinterest Wave as an early adopter and use it now, while it is free. Take advantage, get the extra shares onto Pinterest, and get in front of more people now. Are You Using Pinterest in your Author Platform? Thanks for the tips! Very help will have to try pinterest wave.